One intrepid way to discourage girls from going to school is to shoot a 15-year-old education rights advocate in the head. Another innovative tactic: mass-poisoning. As many as 74 schoolgirls in Afghanistan got sick after smelling gas and are being examined for possible poisoning, according to Reuters. 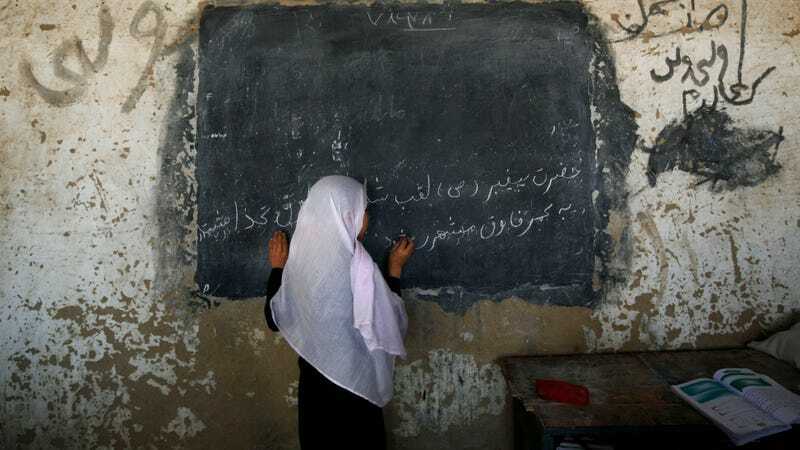 Nothing's confirmed yet, but "there have been numerous substantiated cases of mass poisonings of schoolgirls by elements of Afghanistan's ultra-conservative society that are opposed to female education." Between May and June last year there were four poisoning attacks on a girls' school in Takhar. Numerous mass poisonings. All because girls want to learn things, sometimes.